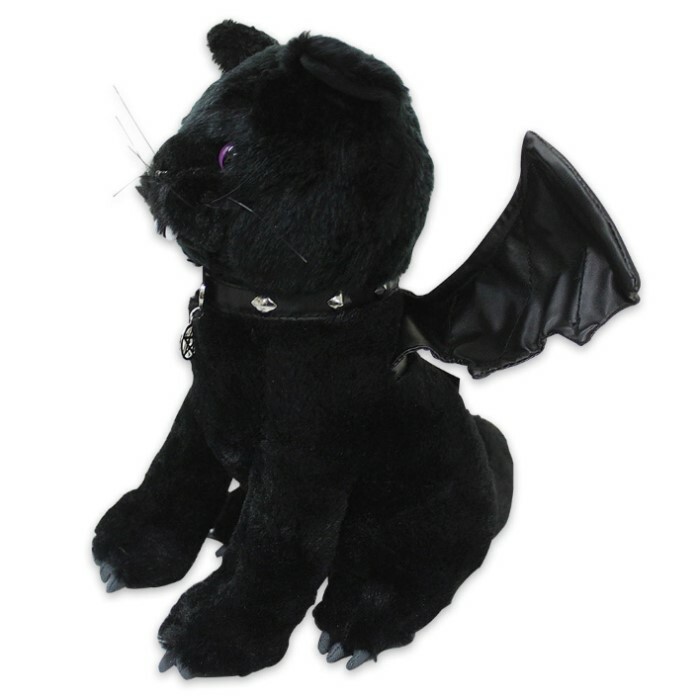 Bat Cat Soft Plush Collectible | BUDK.com - Knives & Swords At The Lowest Prices! Don’t be fooled by this cute cat under the moonlight because this bat-winged vampire kitten has real bite! Look into its mesmerizing violet eyes but beware of its fangs. The 12” tall, stuffed toy is made of soft, 100% polyester and comes in a cute plastic backpack. 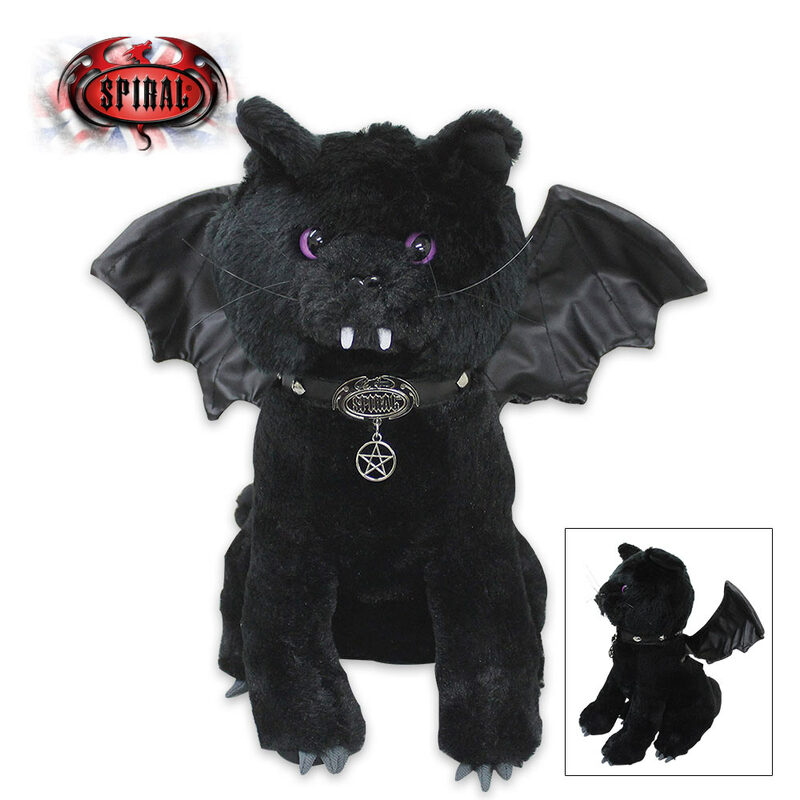 This soft, plush stuffed collectible is the perfect accent for your coffin décor and makes a great gift!